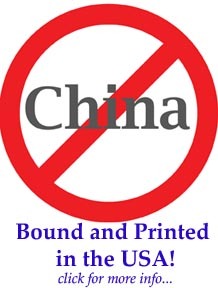 Printed and bound in the USA! Update April 10, 2015: We have located a few new copies of this title that has been unavailable / out of print for many years. 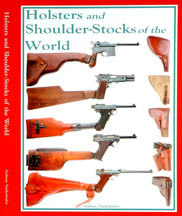 Holsters and Shoulder-Stocks of the World is a visual reference guide to help identify the many holsters and shoulder-stocks that were used through time and with various pistols. This work covers a period from the 1890s to the modern 1960s including WWI and WWII holsters. Pistols are listed by make and model. 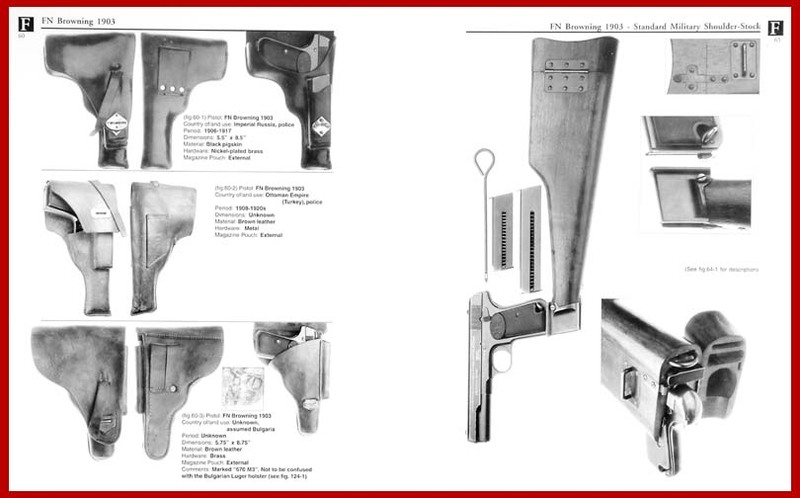 The user guide references the countries which used the holsters so that collectors can instantly refer to either a pistol model or country of use. A German WWII manufacturer's listing is also included for convenience. Over 30 shoulder-stocks, and over 400 holsters and variants are illustrated, with more than 1,000 photographs to assist with identification. Including: Astra, Beretta, Bergmann, Borchardt, Charola, Colt, CZ, Dreyse, Duo, Femaru, FN Browning, French military, Frommer, Inglis Browning, Kongsberg (Norway), Lahti, Luger, MAB, Mauser, P-38, Nambu, Radom, Sauer, Savage, Steyr, Tokarev, Unique, Walther, Webley, and more. 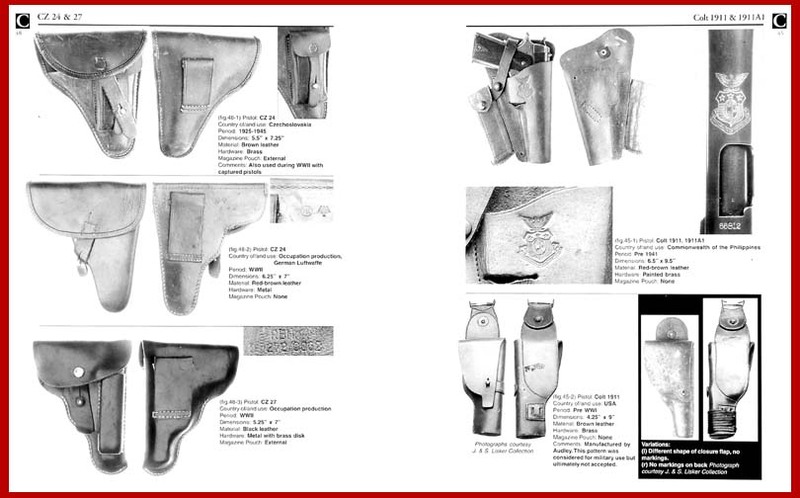 Photographs below show actual printed pages out of Holsters and Shoulder-Stocks of the World.